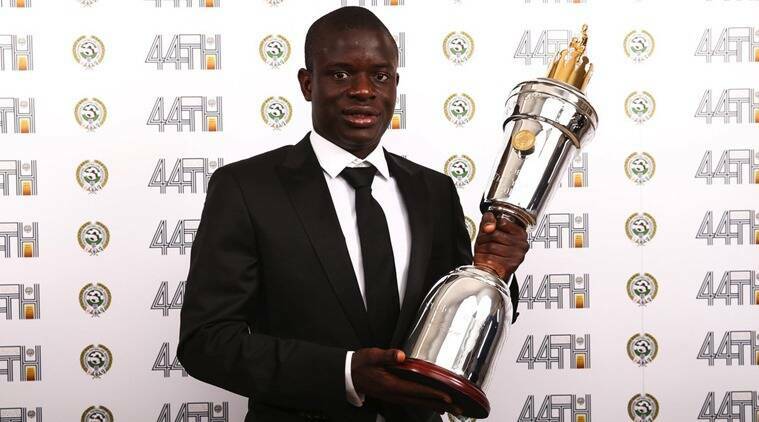 Chelsea midfielder N’GoloKante has been awarded the Professional Footballers’ Association (PFA) Player of the Year award for the year 2016/17. The 26-year old ranked ahead of his teammate Eden Hazard, Tottenham Hotspur’s Harry Kane, Manchester United top striker Zlatan Ibrahimovic and Arsenal playmaker Alexis Sanchez. On the other hand, Dele Alli beat his competitors to retain the Men’s Young Player Award for the second year in succession. Also, Manchester City’s Lucy Bronze won the Women’s Player of the Year award. Birmingham star Jess Carter picked up the Women’s Young Player of the Year award. Kante is arguably the best buy in the Premier League this season after Chelsea snapped him up from the league winning side of Leicester City last summer. He has been spectacular in the role and he is on course for a double as Chelsea are favourites to lift the Premier League and the FA Cup.